The winner of the gold medal in the 100-metre breast stroke at the Olympics, Cameron van der Burgh from South Africa, has not been disqualified despite admitting that he cheated. He took three underwater ‘dolphin kicks’ on pulling out when the rules permit only one. But he is correct when he says that all breast strokers do it: the judges simply do not police them. This news story underlines for me the sheer pointlessness of the breast stroke. 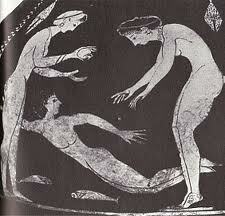 If the idea is to get across a stretch of water very fast, then swimming underwater for as far as possible, followed by the ‘crawl’ (here demonstrated by ancient Greek woman on lower level of vase painting), is the only way to do it. 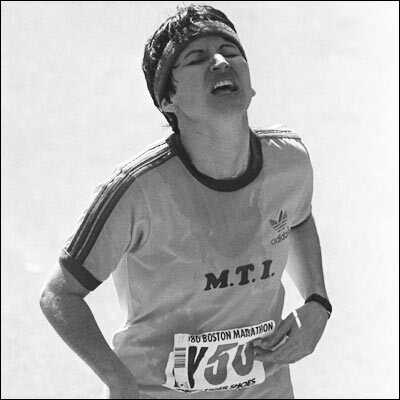 The breast stroke is like asking sprinters to run with their wrists tied together, or jumping in a sack, or carrying an egg and spoon, which every primary school child knows can be won by the judicious insertion of a piece of chewing gum between concave surface of the spoon and the egg. But van der Burgh's dolphin kicks also remind me that the Greeks knew all about the problem presented by rules in something as fiercely contested as the Olympics. 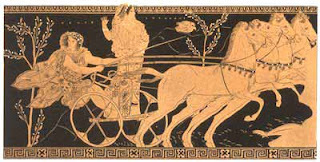 The very foundation myth of the Olympics tells how Pelops gloriously won the chariot race by bribing his opponent’s chariot mechanic to sabotage the axle pins of the rival vehicle. 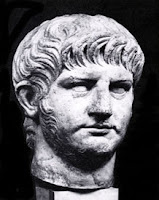 When the Emperor Nero declared himself victor in the Olympic chariot race in 67 AD, with a team of ten horses instead of four and despite falling out, he was arguably upholding the true Olympic spirit as first established by Pelops. But my gold medal for the all-time most committed sports cheat must certainly go to Rosie Ruiz, who was declared winner of the Boston Marathon in 1980 before it transpired that she had only joined the race for the last half-mile dash down Commonwealth Avenue. 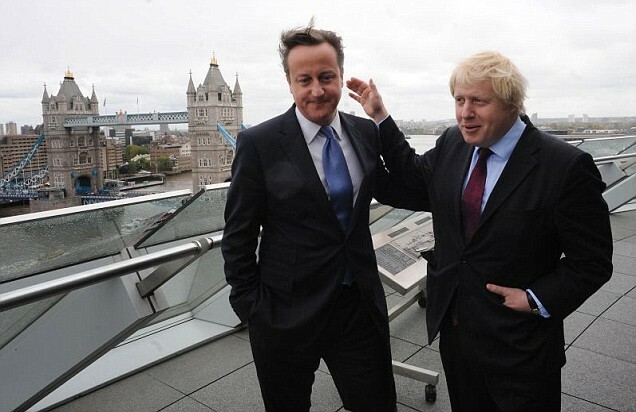 In my view, Cameron's policy would count as institutionalised child abuse. Many children are terrified of any form of sport involving a ball and physically stronger peers. As a nerdy and uncoordinated child, I personally undertook any form of cheating in order to get out of hockey, which was so violent that my shin bones began to look corrugated. So I developed strange maladies including a rare, dangerous and highly contagious form of Athlete's Foot and routinely forged letters from parents and doctors excusing me from PE sessions. Fortunately, the sports mistresses at Nottingham Girls' High School despised me so much that they pretended to believe these documents were genuine. Despite my allegedly acute foot-fungus, I was allowed to go swimming (which I did enjoy) on my own instead. Sport really is like religion: people who want to do it should go ahead, but be prevented from insisting that everyone else participates. I foresee a whole new meaning becoming attached to the term ‘Sick Note’ in the jargon of the British young. It is not cheating in sport that will be the issue, but cheating in order to get out of it.